There’s a common marketing misconception that “if you build it, they will come”. What seems like sage business wisdom is actually an appropriated quote from the 1989 film Field of Dreams. After his father’s death, our hero, farmer Ray, hears a voice telling him to build a baseball field. The goal? To attract the ghosts of dead baseball players. How this memorable movie quote entered the business world, I do not know. But here’s a cup of real tea: this is an idealistic and perhaps metaphysical belief that holds little weight. And although I’m a firm believer in energy and trusting a vibe, a lack of strategic thinking is unlikely to guarantee content marketing success. In actual fact, half of the content marketing process involves a thorough and considered process: content promotion. It’s the strategic, calculated and documented process of ensuring your content gets in front of the right eyeballs, with the aim to meet a goal. 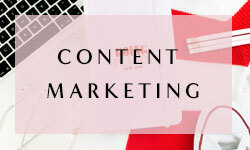 Whether that’s building awareness, educating an audience, or converting a nurtured list of leads, content promotion is a goal-oriented activity. How much content promotion do I need to factor in to my schedule? This depends on a few factors: how much you can take on, how much content you produce each week, and how many channels you currently maintain a presence on. Rather than speak in terms of quantifiable hours spent promoting, it’s more accurate to use a ratio. When it comes to promoting content, I recommend a 70:30 split for small businesses. For larger businesses with bigger teams, I recommend a 50:50 split. That means when you’re dedicating time a piece of content, spec 70:30 or 50:50 of your time on creating and promoting. Why the large discrepancy? Smaller businesses, or solo-operated businesses (like mine), have limited capacity to hire a content team. Overloading yourself with social media tasks can be overwhelming, and besides, you might not need the same reach as a larger business that needs to post 3 times a day to Instagram. But if YOU ARE part of a marketing team within a larger organisation, I recommend spending half the time creating content, and the other time delegating tasks to a team to promote it. Now that we have a clear understanding of what content promotion is and why it’s an essential piece of your success, it’s time to flesh out a step-by-step process for promoting your blog for free. 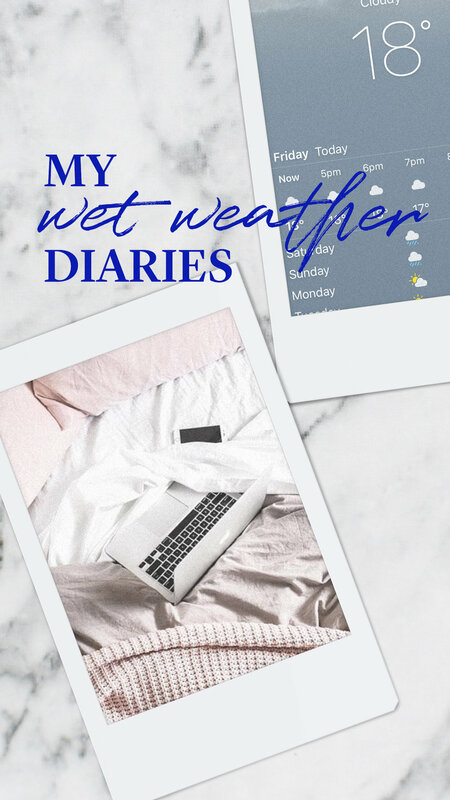 What I do to promote my content is this: I take one blog post, and I create a few different forms of content. From Pinterest images to tweets and Instagram stories, you can turn one piece of content into 10 pieces of content or more. 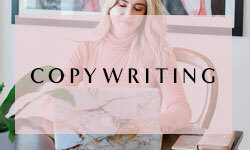 I’m a copywriter, so my primary forms of content are articles and blog posts. I write blog posts that cover SEO, copywriting and content marketing, but your business might not find much value in long-form articles. The key is to know your audience, and understand what types of content they respond to. Do they prefer a mixture of images and witty brevity? Perhaps they’re more inclined to listen to a podcast or watch a quick video on the train to work. No matter your medium, you need a seed piece of content from which everything else will flow strategically. How your main image displays will depend entirely on your website’s layout. See the image directly under the headline of this post? That’s my main image. 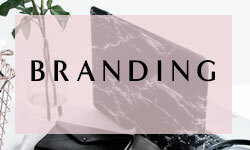 When choosing a header image for your blog post, you can either create a branded image like I’ve done, or choose high quality photography, like It’s The Now displays in their blog posts. If you choose the former option, I recommend using Canva to create your branded images. Alternatively, you could buy a template from Creative Market, or use Photoshop if you’re creative. Because each social media channel has its own size specifications, you’ll need to create a separate image for each one. Here are the exact dimensions, which are correct at the time of writing. It’s easy to post an image to Instagram and to Pinterest, but for Facebook and Twitter, you need to tell these channels which image dimensions to use. If you don’t, Facebook and Twitter won’t display the correct image size, and the most interesting parts of your image might get cut off. This is particularly true if there’s text within your main blog image, as there is in mine. Once you’ve created the Facebook and Twitter images, upload them to your server or a separate image library. I like Imgur as uploads are FAST, and you don’t need to create an account. After you’ve uploaded these images, you need to ensure that when your posts are shared to social media, the right image dimensions are used. This is where schema markup code and open graph code comes in to play. Use this code to define your headline, description, and images to display across Twitter and Facebook. Every since I engaged with Mackayla of Social Stylings to help me optimise my Instagram account, I’ve become a huge fan of Instagram Stories. Your Story is a way of sharing photos and videos that disappear within 24 hours, that don’t appear in your grid. It’s a great way to promote a sale, and also to post less polished content, like behind-the-scenes shots. I like to use Instagram stories to create engaging mini blog posts, and then direct my followers to explore the actual blog post via my bio link. To do this, I use a Story template I purchased from Creative Market, so my content is branded and uses my colours and chosen fonts. And of course, ensure you link to the main blog post in your bio link. 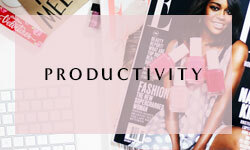 Pinterest is my latest marketing obsession du jour, and with good reason too. It's not that I can a smorgasbord of hair inspiration at my fingertips. It's because as an SEO expert, I'm OBSESSED with learning how to ensure my content (and my clients') ends up under the eyeballs of those searching for it. And Pinterest is just another - albeit highly visual and addictive - search engine that gets those results. The way it works is like this: a user creates an account, creates 'boards' to categorise their 'pins', and then creates 'pins' to share content, or they can pin other's content too. Pins are images with a description, and a hyperlink leading to off-site content. For example, I've created 4 images for this post, and uploaded them to my Pinterest board marked 'Blogging', and ensured they link back to this blog post. Pinterest also has the added functionality of group boards, which are collaborative efforts between users, where they share their own content and other's too. Sharing to these group boards can be highly effective in driving more traffic to your website. For every blog post I create, I ensure I turn 10 sentences into tweets and link back to the original article. I try to ensure that these sentences make sense out of their context, and will entice the reader to click-through. It also helps if you write your articles with 'tweetable' sentences in mind. If I mention a notable authority within the body of my content, I’ll shout out to them on Twitter to encourage them to retweet. E.g. : There’s no one else I’d recommend than Social Stylings for Instagram advice. Check out my latest blog post where I mention Mackayla’s awesome insights. If you’re a Communique subscriber, you’ll notice that I feature my blog post and a content upgrade in every edition. This ensures that my nurtured list of subscribers read my content, and also benefits from exclusive content too. 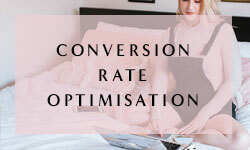 Creating a content upgrade is my way of valuing my readers. Ocassionally, I’ll also create a pop up that appears with that blog post, encouraging a reader to subscribe to get this content upgrade. Haven’t seen the pop up yet? 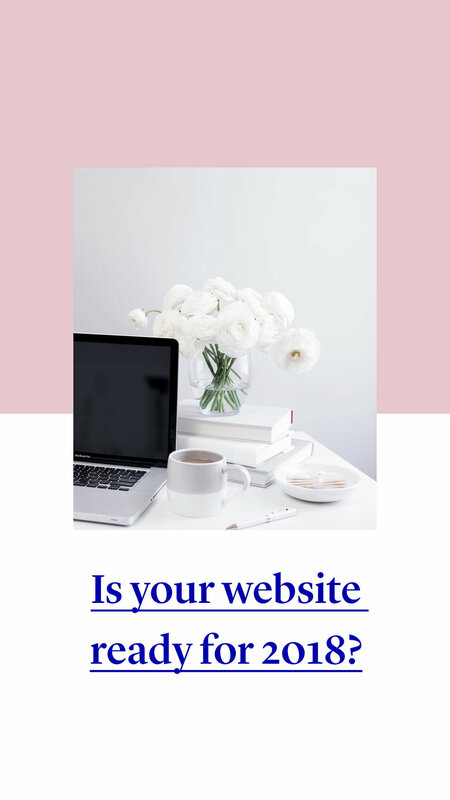 Sign up with your email address to receive your free blog promotion checklist, designed to help you get more eyeballs on your content. Thanks for subscribing to Communique, my bi-weekly newsletter. 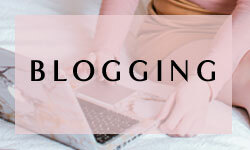 Please check your inbox for your confirmation email, and of course, your FREE blog promotion planner. Are you a member of a group that sends out a weekly newsletter? Ask them to include your most recent blog in their next edition if they offer free promotions. Medium, Women in Focus and Linked In offer great options for republishing your content. Worried about a duplicate content Google penalty? Don’t be. You own the rights to your content, and you have the rights to publish wherever you wish. 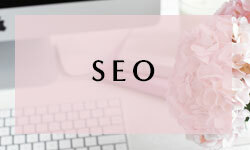 However, if your content goal is to increase your SEO rankings, you may want to publish a snippet of the post, and then use a hyperlink to direct readers back to you main website. That way, you ensure that your blog post will rank for that keyword, rather than another domain. As you can see, there are many ways you can ensure your content gets in front of the right eyeballs. Ensure you’re promoting on the right channels, with the right forms of content, and you’ll find your strategy far more successful.